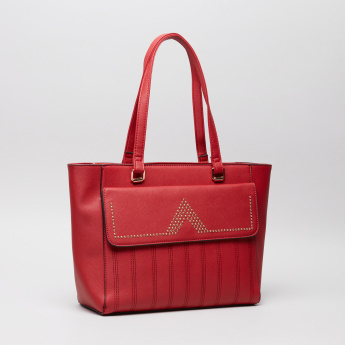 Exude class and sophistication by carrying this tote bag to the next upcoming event. 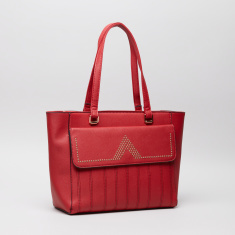 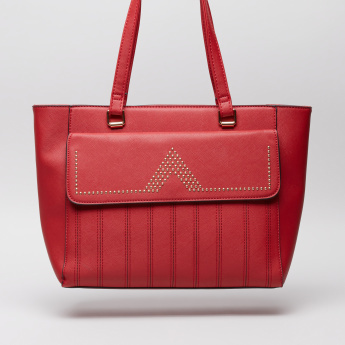 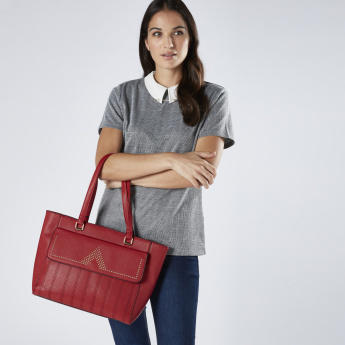 Along with delicate embellishment on its flap, this bag has stitch detail that makes it look stunning. 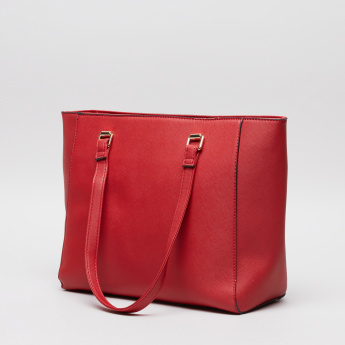 The spacious compartment is secured by a zip closure and the handles make it easy to carry.